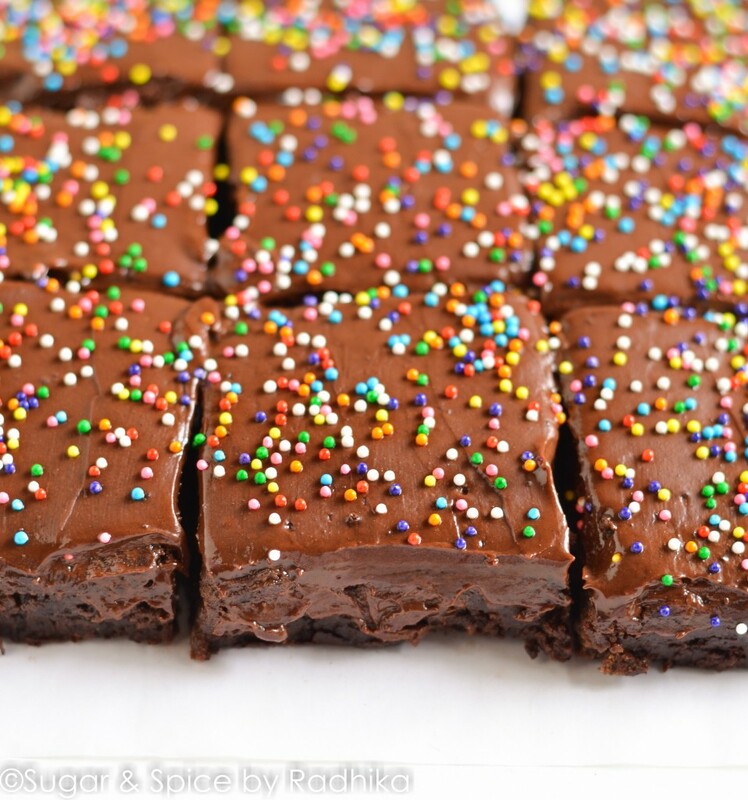 Frosted Sprinkle Brownies and My First Baking Workshop! 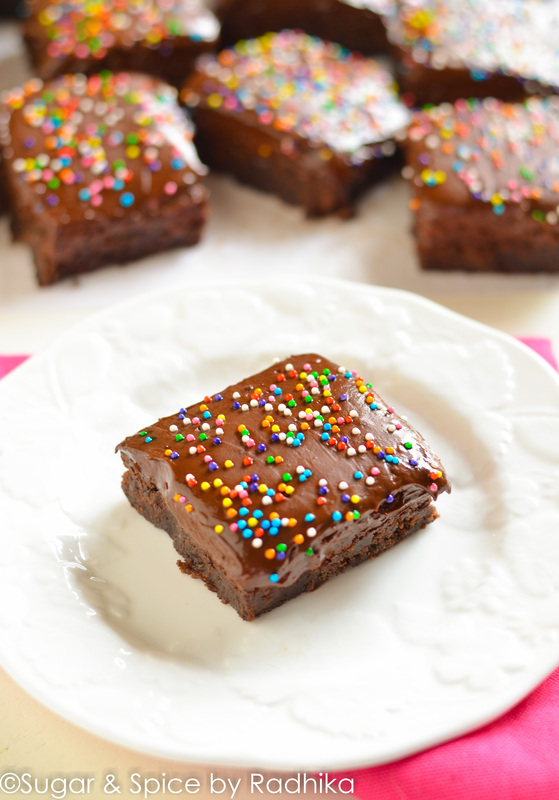 Here’s a simple recipe to make chewy eggless chocolate brownies frosted with a chocolate buttercream and lots of sprinkles! 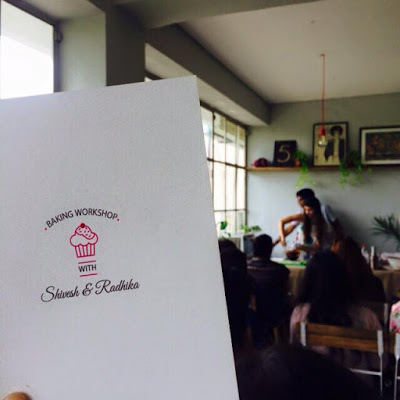 Also, some details about my first ever baking workshop! 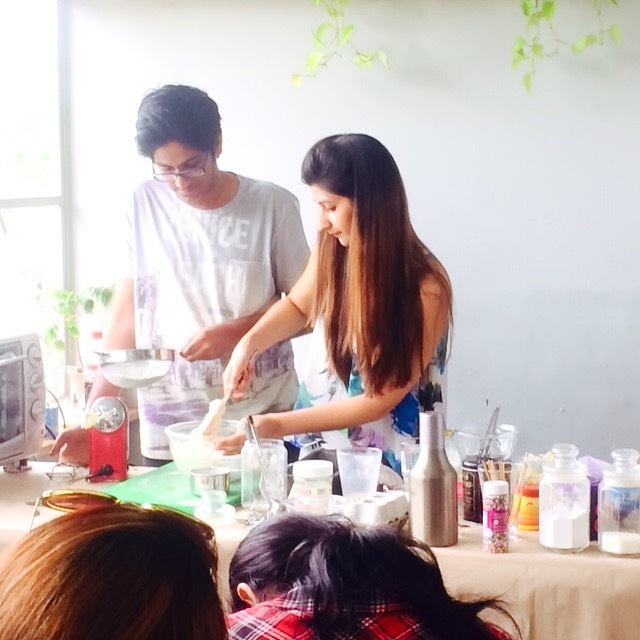 Last Sunday was quite eventful; it was the day of my first ever baking workshop! I had been contemplating the idea of organizing a workshop for quite sometime now but I never really got around to doing it, partially because I was too scared of doing everything on my own. Planning, organizing and managing an event can be quite daunting for one person so I never really did anything about it until my blogger friend Shivesh from Bake with Shivesh approached me and proposed the same idea! There couldn’t have been a better time to do one so naturally I was excited about it and said YES in an instant! It was an absolute pleasure to work with Shivesh, this super talented 19 year old is a superb baker and an amazing photographer! I don’t think I could’ve found a better partner because both of us were so in sync throughout this whole process of putting together this event (which BTW was a big painful task). First things first, we had to finalize a location and I couldn’t think of a better place than Boheme . I had been to this place once before and absolutely loved it (read about my coffee tasting at Boheme here). 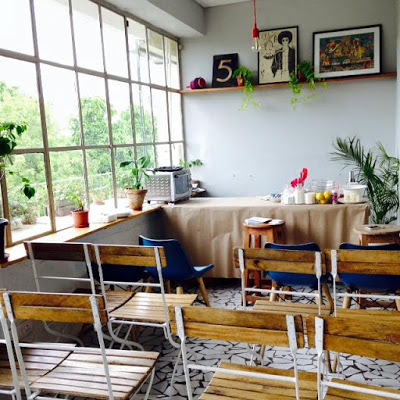 This beautiful cafe is away from the hustle and bustle of the city and so different from all the regular cafes in Delhi. The decor is tastefully done with a bohemian theme and relaxed atmosphere in mind. This was a perfect setting for our baking workshop and we were so lucky to find it! We were so lucky that everything worked out for us! From getting our gorgeous recipe books printed, to managing registrations, we did it all in a couple of weeks! The day of the workshop was definitely scary because I had never baked in front of 20 people before and I was just terrified of making mistakes! But all I can say is we were really lucky to have the most supportive and encouraging audience ever. They kept cracking jokes, laughed at ours which actually made the atmosphere really fun! I got to meet some of my Instagram followers which was truly the best part and made it all worth it. I don’t think we could’ve done it any better (maybe professionally shot pictures would’ve been nice but our photographer ditched us last minute..IMAGINE!). 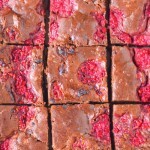 For the workshop I demonstrated two recipe – my most favourite Lemon Loaf Cake and these Frosted Sprinkle Brownies. 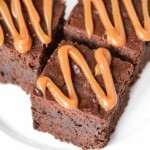 Picking these recipes was a real pain because all my good recipes are already on my blog and I really wanted to give my attendees a new recipe so I came with the idea of frosting my brownies because, why not!? Frosting makes everything better, especially when it’s my chocolate buttercream frosting which is truly the best recipe out there. I was so glad to have all the attendees taste these brownies, and I’m proud to report back that they were really liked by all! I wasn’t surprised because when has anything with sh*t load of chocolate on it been disliked, right? These were bound to be a hit and they were! 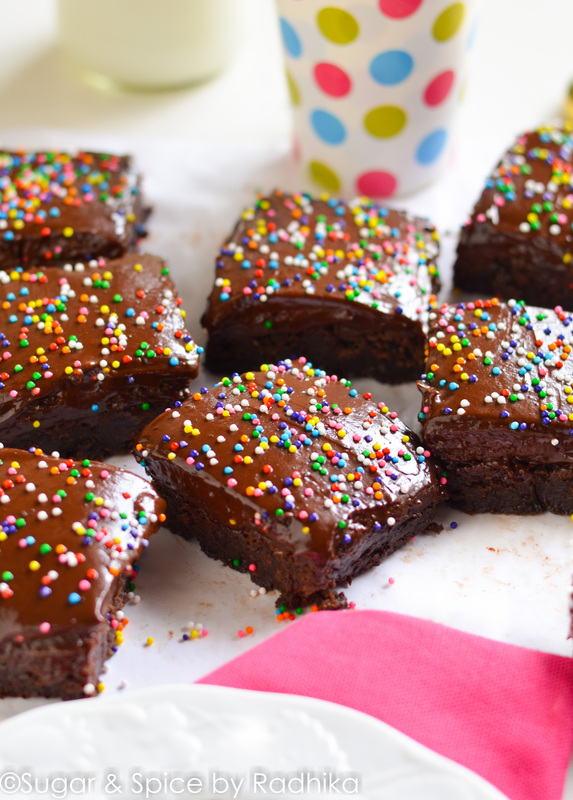 They’re the IT-dessert for vegetarians who are chocolate lovers, and the sprinkles make them soooo festive! 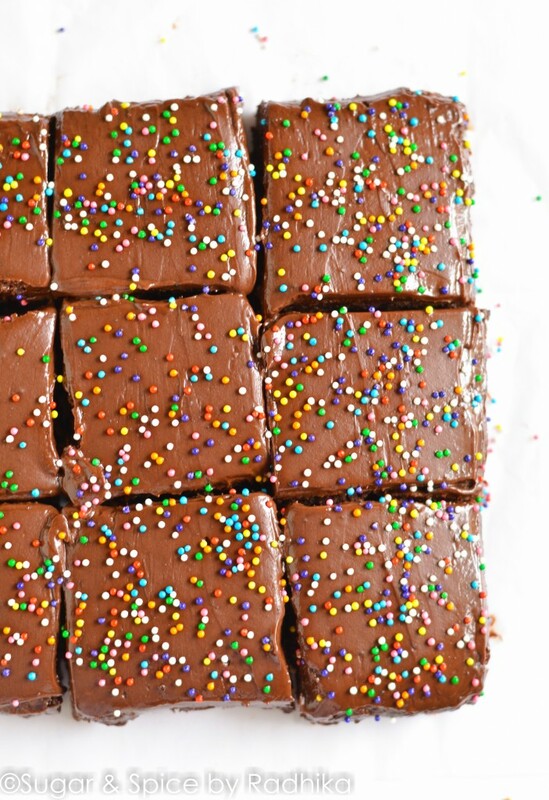 Here's a simple recipe to make chewy eggless chocolate brownies frosted with a chocolate buttercream and lots of sprinkles! In a bowl, sift together flour, cocoa powder and baking powder. Keep aside to be used later. In another bowl, whisk butter for a few minutes until light in color and fluffy. Add in the sugar and whisk again for a 3-4 minutes. Add in the condensed milk and whisk thoroughly for only a couple of minutes. Next, add in the melted chocolate, vanilla essence and mix until combined. Preheat your oven to 180 degrees Celsius for 10 minutes. Add in the dry flour mix set aside to the wet mix little by little until everything is evenly combined. Add the milk or coca cola and incorporate with the batter. Grease your pan and line the bottom with parchment or butter paper. 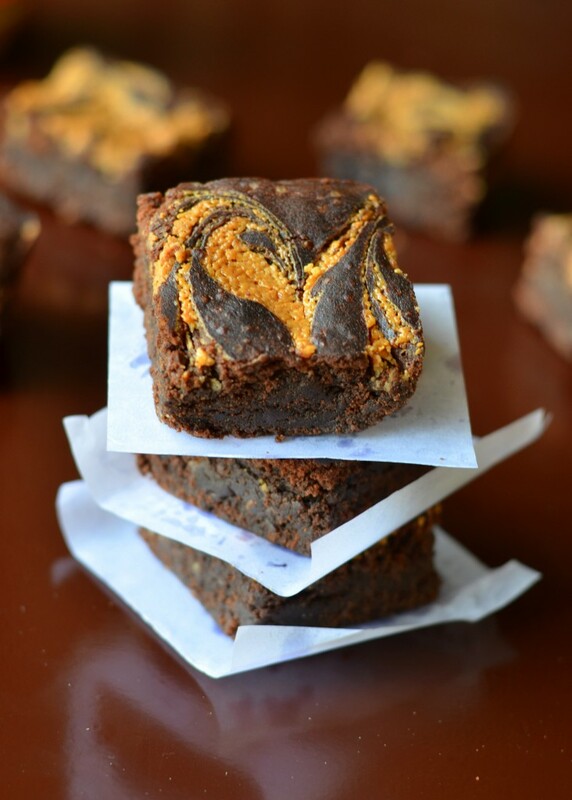 Pour brownie batter in it and bake at 180 degrees Celsius for 25 minutes. 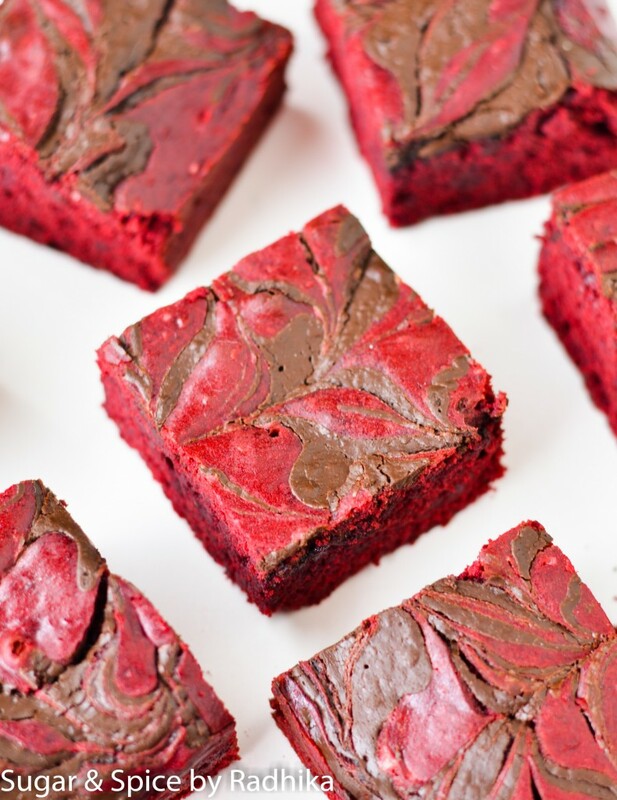 Let your brownies cool completely (preferably for 2-3 hours) while you get started on your frosting. For the frosting, whisk butter until light and fluffy. Add in the icing sugar, cocoa powder, and vanilla essence. Whisk everything until properly combined. In a different bowl, whisk the whipping cream until stiff peaks are formed. Add whipped cream to the butter mix and fold it in until everything is properly combined. 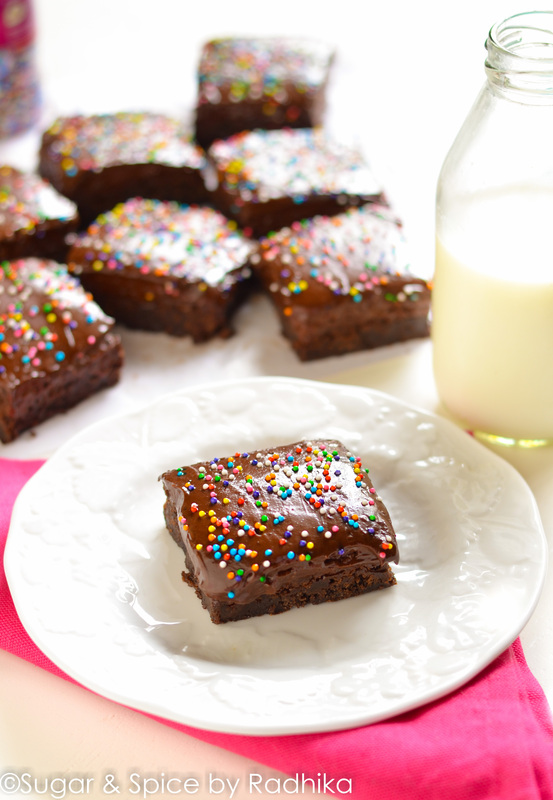 Once the brownies have cooled down, spread the frosting on them evenly and spread sprinkles on top. 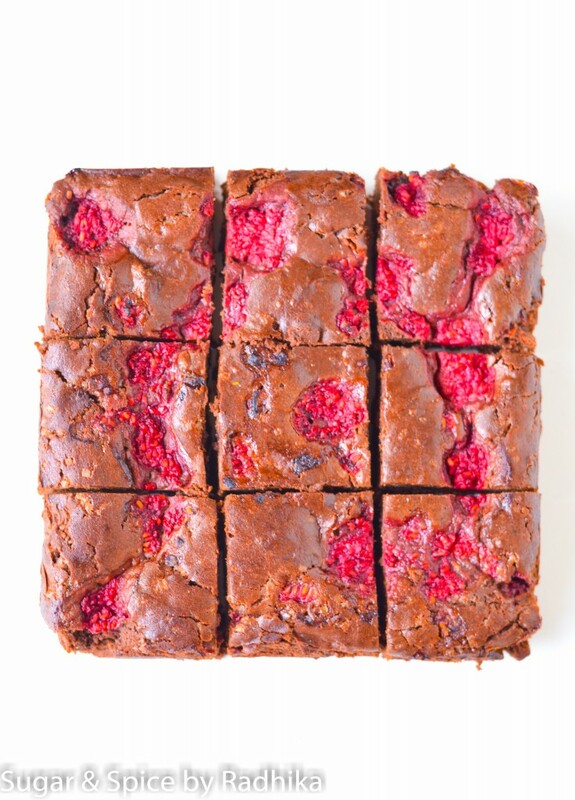 Cut into even squares and enjoy! 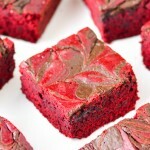 For more brownie recipes, try these..
FOR MORE RECIPES, GO HERE. Can the eggs be replaced with something else ? Hi! I’m sorry but there are no eggs in this recipe. Are you referring to some other recipe? Or do you want to use eggs in this? 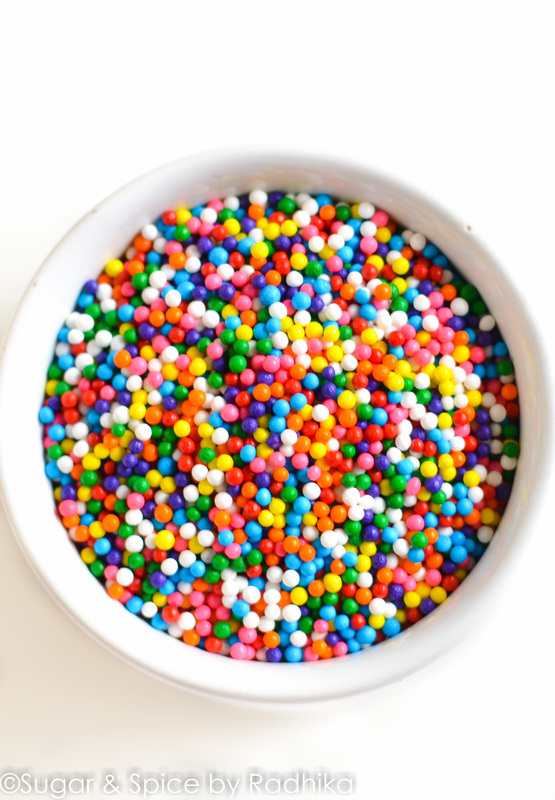 Do you use any particular brand for Cocoa powder/Chocolate and Vanilla essence? 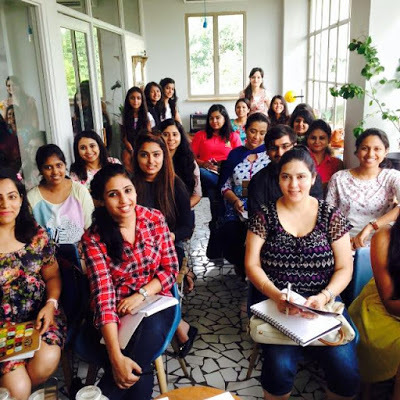 I keep visiting Delhi so I hope we could do a workshop together in the future! 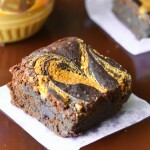 Loved reading your post, shall try the brownies soon, frosting them is the best part.. 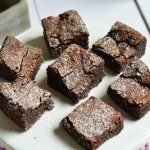 I am visiting my little niece and nephew and wanted to bake something for them .Stumbled upon you blog on Instagram and took a leap of faith to try this brownie recipe,It turned out to be amazing..Now the brownies are neatly packed in a box and waiting for kids to open the little box of happiness.I want to thank you dearly for generously sharing such good recipes. Hey! Which company’s dark chocolate do you use? And also which mode for OTG? Hi Aisha! I use Morde, 2M or Duke. And for the OTG, use the mode with only the bottom rod on for baking. I love your recipes they’re amazing . Please let me know the details of your next workshop as i really want to attend it . Waiting for your reply. Hey hi ……….i love your recipes and i want to say you are very pretty too. I have recently started baking and i manage to get good cakes which dont have that butter whisking technique. When it comes to that technique, i am not so good, if you could help me to understand how can i improve on that, what temperature a butter should be, and how should i whisk because really want try more recipes but they usually comes with that technique?? 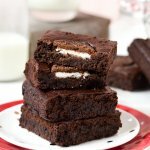 Do you use OTG for baking ? Is it possible to get good results with Microwave convection oven as well ? 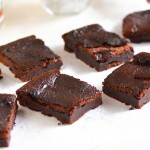 I have an issue with this eggless brownie.. It is always cakey for me. 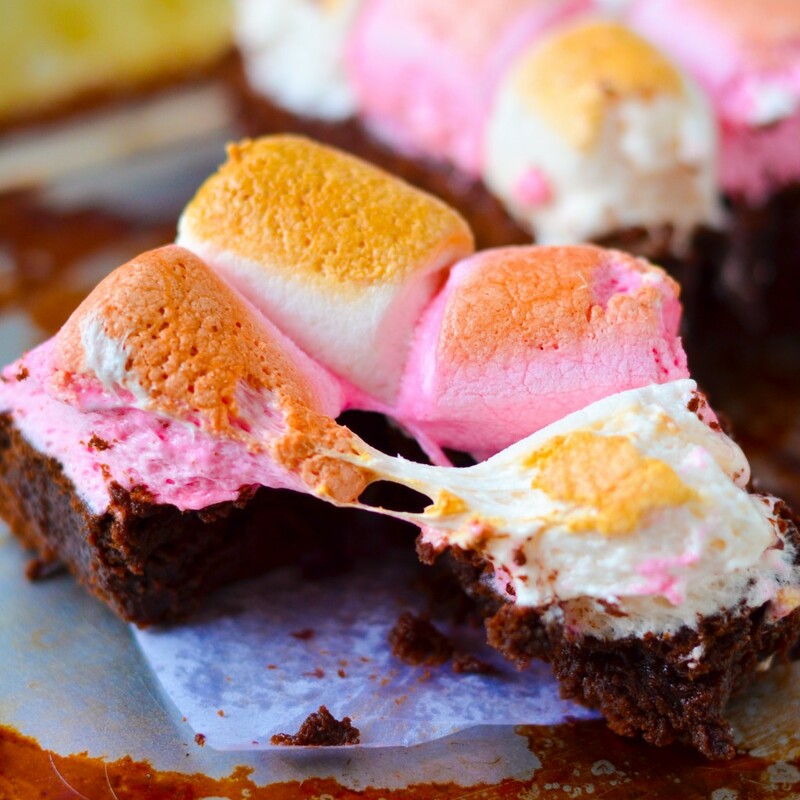 I want it to be fudgy. Can you help me with this..
Hi Shalini, thank youuuuu so much!! You’re the sweetest! 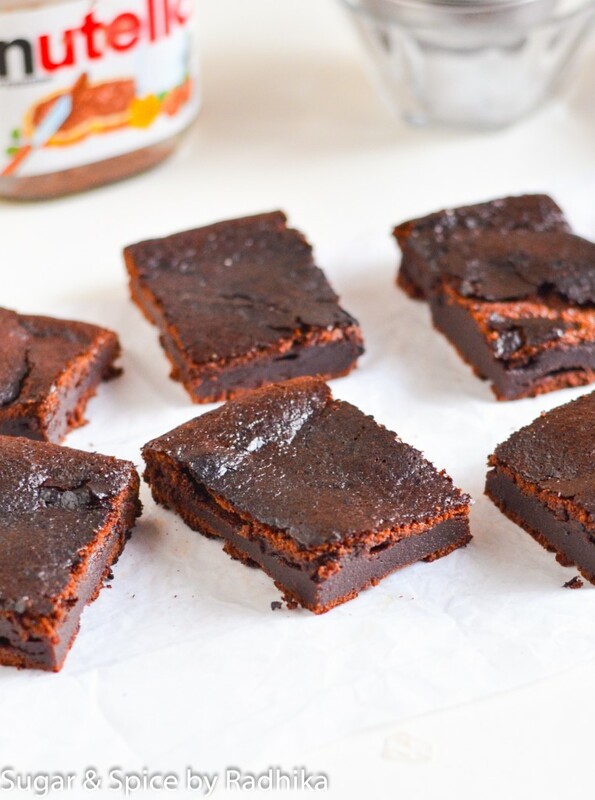 These brownies are cakey, if you want them to be fudgier you’ll have to make a lot of changes. 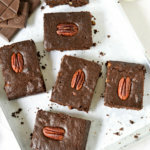 Reduce the flour to 1/3rd of a cup, increase chocolate to 200 grams, add 3 eggs, butter 1/2 cup, reduce cocoa powder to 2 tablespoons and keep sugar as it is. Heat chocolate and butter until melted, add in the sugar and mix. Then add in the eggs one by one. Followed by cocoa powder and finally fold in the flour. Bake for 35 minutes at 180 degrees C.